Turbulence Ahead: A United Ireland by 2016? I keep thinking back to this time one hundred years ago - to 1910. People had no idea at the time what the decade ahead would bring, and not just in Ireland. The following ten years would witness the death of 10 million men in the First World War, the destruction of four empires, and the triumph of communism in Russia. And the start of Ireland's War of Independence. It wasn't that our ancestors were witless or obdurate, they just had other priorities and concerns. Just like we do. 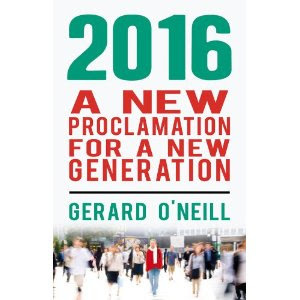 Which brings me to 2016 and the question of a united Ireland. It isn't on anybody's radar. Sure it exists as an aspiration for many (it's even written into the Republic's constitution), but in the course of practical planning and policy making - in Dublin, London or Belfast - it simply doesn't figure. No long-term projection or forecast - by the IDA, or would-be taskforce or any economist for that matter - assumes anything other than 'business-as-usual' for the next ten years in terms of the fundamental political and constitutional architecture on the island of Ireland. Which is reasonable enough as these things go: the future from the perspective of 2010 is uncertain enough without incorporating game-changing scenarios for which we have no precedent. History, however, suggests this may not be the most prudent approach to adopt. Firstly, there remains a strong desire for a united Ireland on both sides of the border. In a poll I did in January, 55% of adults in the Republic of Ireland agreed that "a united Ireland would, on balance, be better for people on both sides of the border". By contrast, a recent Northern Ireland poll by Inform Communications showed that only 36% would vote for a united Ireland in a referendum, rising to 69% of Catholics. No surprise there. But it does reflect an 'on again/off again' Northern debate (e.g. : on the Slugger O'Toole blog) about these things (and in some of the British media as well, I might add). I'm talking political debate here of course: not the death-worshipping nihilism of CIRA et al. Of course these are just survey findings. And as an old trade unionist I knew was given to saying, opinion polls are like bikinis, what they reveal is interesting, but what they hide is vital (yes, he was old enough to say such things and not have to issue an apologetic press release afterwards ...) Opinions, being opinions, vary all the time, and in the final analysis they don't 'cost' anything to hold, or to change. What does count are votes expressed in the ballot box: in elections as well as in referenda. The protocol for deciding on a united Ireland is clear enough. Under the Northern Ireland Act 1998, the Northern Secretary may "by order direct the holding of a poll ... if at any time it appears likely to him that a majority of those voting would express a wish that Northern Ireland should cease to be part of the United Kingdom and form part of a united Ireland". A similar poll or referendum would have to take place simultaneously in the Republic of Ireland. In the event that the 2011 census revealed a Catholic majority in Northern Ireland, then the Northern Secretary would certainly come under pressure to hold a referendum within a year or two of the results. Assuming a majority approved the re-unification of Ireland in simultaneous referenda in the North and in the South (the Republic's constitution requires that a majority in both jurisdictions approve re-unification), then a few more years of procedural and legislative arranging could see a united Ireland ... by 2016. A key question, of course, is whether the 2011 census will show that a majority of the North's population aged 18 and over is Catholic? I suspect not: more recent data than the last NI census (in 2001), such as that on equality from NISRA, certainly indicates a near-majority of Catholics, but by no means an absolute majority. Another obvious question is whether all the North's Catholics would vote for a united Ireland. According to the opinion polls, the majority certainly would vote yes, but a large minority might well abstain or vote no. So it's one to watch. If there is a referendum on a united Ireland in the next few years then its advocates might note that the 1998 act also requires that the Northern Secretary does not hold another poll for seven years after the previous one. We might be looking at 2018-2019 for the sequel. In which case analyses of the North's school age populations by blogger Ulster's Doomed! (you get the drift) suggest every likelihood of a Catholic majority later in the decade. If I was preparing a long-term plan for Ireland I would pencil in the (slim) possibility of a united Ireland by 2016 ... and the likely probability of a united Ireland by, say, May 2021 - the centenary of the foundation of Northern Ireland. Stranger things have happened: just ask your ancestors. Since virtally all the Protestants would vote No & a signifiant number of Catholics (mostly the middle class) too I don't see this happening soon. So you would need a bigger Catholic majority for it to be likely & thats going to take decades. Who are we kidding in the Republic? No one in Northern Ireland is going to vote for a united Ireland while the British government continues to provide a subvention of £5b per annum. On top of that who would trade the NHS for Harneycare? So we would have to promise the Nordies the same subvention, or higher at PPP rates (in other words we'd be looking at about €10b every year) and give them better healthcare than we have here in the South? You can keep 'em Britain, we can't afford them. Great post, nice to see the topic aired. The Protestant majority in the older age groups is much larger than the Catholic majority at the other end of the scale (the under 30's). and give them better healthcare than we have here in the South? Don't believe the hype. It's free at the point of service, but necessarily better. Infant mortality is around 50% higher in the north & Gerard highlighted recently maternal mortatlity during child birth in the south is the lowest in the world. Life expectancy at birth is also higher in Ireland than in the UK (NI would have lower life expectancy than the UK avg). I read some years ago that one stumbling block is the cost of the handover, if that happens. 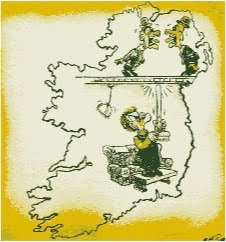 Ireland would surely look for some sort of reparation or monetary support for such an expensive unification. What does it cost above and beyond the ~£5b p/a the UK tax payer gives the north, is that the total budget including security, social and general administration? From a UK point of view, the savings of supporting the north in all respects would surely be very welcomed by the general public, especially shown the tax benefits. The Republic just could not afford such a unification unless we have another 20+ years of substantial post recessionary growth, coupled with concrete planning on unification. I don't think any British Secretary of State would propose a border poll on the basis of census results. I think it will only happen if/when there is a voting majority (or perhaps plurality) for nationalism. And that, I think, will not come until the 2020s, partly due to the fact that older people (aka voters) will still be majority Prod/U even after the population as a whole has tipped towards 50%+1 Catholic. All those nice little Catholic schoolkids are, unfortuunately, useless in the polling booth, whereas old Trevor and Dorothy still have a vote. In other words, there will be a lag between the C majority and the N majority, of anything up to a decade. So forget 2016 - it is symbolic but not attainable. Even 2021 is optimistic. The tensions in a decade will be palpable - there will be a clear nationalist majority at the younger (and more dynamic) ages, but they will be frustrated by the older unionists. How this will play out is anyone's guess. It's obvious now that the gerrymandering that went on in the 1922 Boundary Commission simply delayed the inevitable. But it's also obvious that a united Ireland at that time, or even recently, was a complete non-runner as long as we clung to an overtly Catholic constitution where even divorce was prohibited. A telling episode was Churchill's offer to de Valera of a united Ireland in 1940 if he would enter the war on the Allied side, an offer Dev rejected out of hand! Why? Because it would mean the dumping of all the Catholic/Gaelic mystic crap he had dreamed up for "Eire" in return for a genuinely workable, secular Ireland. This still seems to be a problem for his successors. Advocates of a united Ireland should propose an all-UK referendum. No-one could doubt the outcome - an overwhelming vote to get rid of the pesky, money-draining place. As for the South, I don't think there is any serious reunification consituency of any size. If anyone believes there is a river of love flowing Northwards, just think of the fury over Aer Lingus's move from Shannon to Belfast or over those shopping trips to Newry. I will write something along these lines in my Tallrite Blog. "I will write something along these lines in my Tallrite Blog." The relevant post is entitled "United Ireland? - As If!" The British have been balkanizing ...and looting the entire planet Earth for centuries .....Even where they have been forced out the problems remain....e.g. importation of African slaves to North American ,,,,ongoing occupation of overseas territories ..the Malvinas , etc. British colonial plunder is a history of shame ...conspicuously , the maledictions of Balfour in Palestine. It's just nice to find someone who can provide the latest information on this subject. Economic realities are of course going to play into this. I think we may find that the US may have a very favorable attitude towards reunification, and there may be some cash flow there IF the US experiences significant economic recovery over the next 5 to 10 years. As goes the US economy, so goes the Republic's economy. One external factor in this is the path of the UK economy over the next decade. If the UK economy struggles (or stalls), then there will have to be a significant winding back of the UK welfare state. That will hurt NI in two ways: (1) directly, in less benefits for everyone; and (2) in attitudes to NI in the rest of the UK (ie: growing resentment at the taxpayer money flowing west across the water). Facing a full-blown depression, it is not inconceivable that crisis-driven UK government might consider unilaterally abandoning NI. Whilst certainly controversial, it is certainly legally possible, even without any referendum. Highly unlikely, I agree, but interesting to consider nonetheless. An NI that was unilaterally cut adrift by the UK would choose to do what, I wonder? Ask to join the republic? Attempt to got it alone as a micro-state within the EU? Other? On what date will the 2011 UK Census results be published? Just because North Of Ireland is subsidized doesn't mean it can't stand on it's own two feet. The Irish people are resilient and this has been shown time and time again. The primary reason for low enthusiasm for re-unification is because of a return to violence, which this time would bring violence to the shopping malls of the south. Therefore, what will happen, is that there will be a federal union instead, where Belfast keeps it's devolved powers, there'll be a 10 year changeover period, there will be a permanent anti-war treaty between the UK and Ireland, the BBC NI will become BIBC NI with joint sponsorship, the queen will be instated as some sort of ceremonial figure, and the council of the isles will be expanded to have a little more muscle. By this time, Cork metro area (pop 409k) will have grown enough to be a counterweight to Belfast metro area (579k). I would guess that this will take about 15 years before this issue becomes seriously possible. I think after the economy comes back in the south my native kinsmen across the sea should sever all political ties with England, join forces with Scotland and Wales and send those damn Anglos back to Denmark where they belong. Screw the UK, we ought to revive the ancient Celtic Alliance.